According to his spokesperson George Charamba, the Zanu PF leader was forced to skip his so-called “Thank You” rally scheduled for Mt Darwin in order to apprise regional leaders about the situation in Zimbabwe ahead of an Africa Union Summit set for Ethiopia in a few days’ time. “His Excellency the President, Cde ED Mnangagwa, today, Saturday, spent the day at his Munhumutapa offices from where he made contact with a number of heads of state and government from the region and continent,” Charamba said in a statement. “The prime objective was for him to brief his colleagues on the situation obtaining in the country following opposition-instigated violent demonstrations which affected the country two weeks ago. US top diplomat for Africa Tibor Nagy said Washington was “deeply” concerned about the events in Zimbabwe and the UN’s local office said it was worried about “trails of destruction, looting, mass arrests and detentions” that followed the protests. 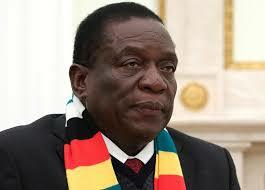 “The US is deeply concerned about continued reports of human rights violations in Zimbabwe,” Nagy tweeted. The MDC led by Nelson Chamisa says its officials have become targets of abductions by soldiers who make regular raids at people’s homes in the dead of the night.